Grew up… in the care of her father, a nobleman who ran the Hellsing organization. At the age of twelve, though, Integra’s father died, leaving the organization to her. Her uncle tried to kill her and take over, but she managed to find and awaken the powerful vampire Alucard, who has protected her ever since. Living… in the giant Hellsing estate in England. Integra (full name: Sir Integra Fairbrook Wingates Hellsing) is head of the family and head of the organization, and she’s got the fancy manor to prove it. Profession… vampire-hunter. Well, vampires and any other supernatural creatures that threaten England. It’s the duty of Hellsing, and by extension Integra, to eliminate any threat to Queen and country. Integra is very patriotic, and takes this duty very seriously. Interests… running a tight ship. Responsibility weighs heavily on Integra’s shoulders, and she spends most of her time making sure everything goes according to plan. She’s not a bad fighter, either, so no doubt she’s spent her fair share of time in the shooting range. Relationship Status… single. Her closest relationship is with Alucard, the vampire who protected her throughout her adolescence. It’s not entirely clear how “close” that relationship is, though. Challenge… defending England and its people from an invasion of undead Nazis. And robo-vampires. And Catholic super-priests. It’s World War III, and Integra’s right in the middle of it. 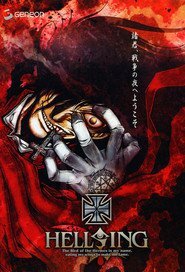 Hellsing is the organization that’s best equipped to deal with these threats, and the Queen and her government are depending on Integra to keep the country safe. Personality… calm, organized, and strict. Integra rules her organization well – her cool and collected appearance inspires confidence in her men. She doesn’t tolerate failure, least of all her own, and she’s very devoted to her Anglican religious beliefs and her English nationality. If she has a flaw, it’s that occasionally her temper gets the best of her. Integra Hellsing's popularity ranking on CharacTour is #561 out of 5,000+ characters. See our top-ranked characters and read their profiles.